alaTest has collected and analyzed 30 reviews of Sony HDR-CX305. The average rating for this product is 4.3/5, compared to an average rating of 4.1/5 for other Camcorders for all reviews. People are impressed by the design and size. The portability and image quality also get good opinions. Many are negative about the memory and viewfinder. There are some mixed comments about the durability. We analyzed user and expert ratings, product age and more factors. 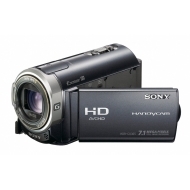 Compared to other Camcorders the Sony HDR-CX305 is awarded an overall alaScore™ of 79/100 = Good quality. compact and easy to use. I still have to use it on holiday, and will do so in Iraqi Kurdistan later this month. Plenty of mountains, scenery and Kurdish lifestyle! The battery would not fit the camcorder and there was no replacement available therefor I had a refund. easy to use, light and great image quality. I was happy about the money I spent on the product. It would be great if the memmory was 32GB for that price.